It is my honour and pleasure to welcome you to the Philips Innovation Experience, here at the Evoluon in Eindhoven. This unique structure was built in 1966 as a testimony to science and technology. For years, it housed a technology experience centre that inspired generations of people. I hope it will do the same for you today. Because at this Innovation Experience we will show you how Philips is and will be making people’s lives better. You will see solutions that help people live a healthier life. Platforms that increase the efficiency of healthcare. And ways to create safer and more comfortable cities. We believe that this is what people need and the world needs. 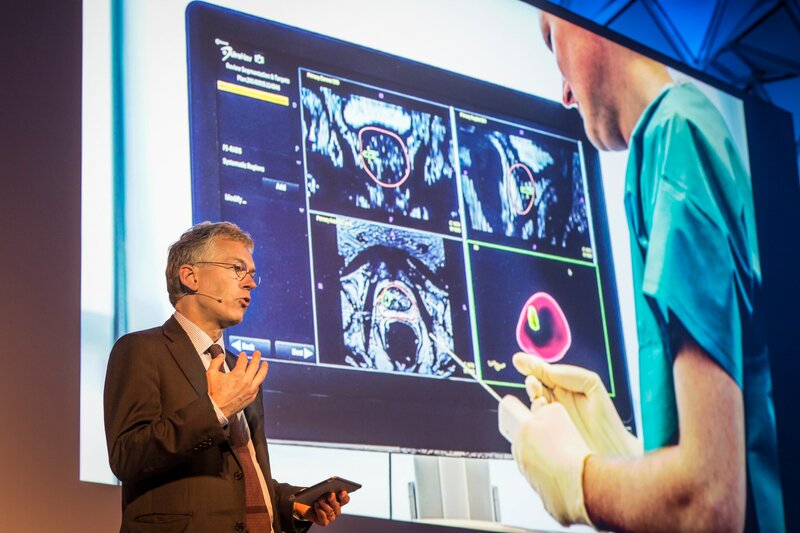 Philips is taking bold steps to meet these needs. 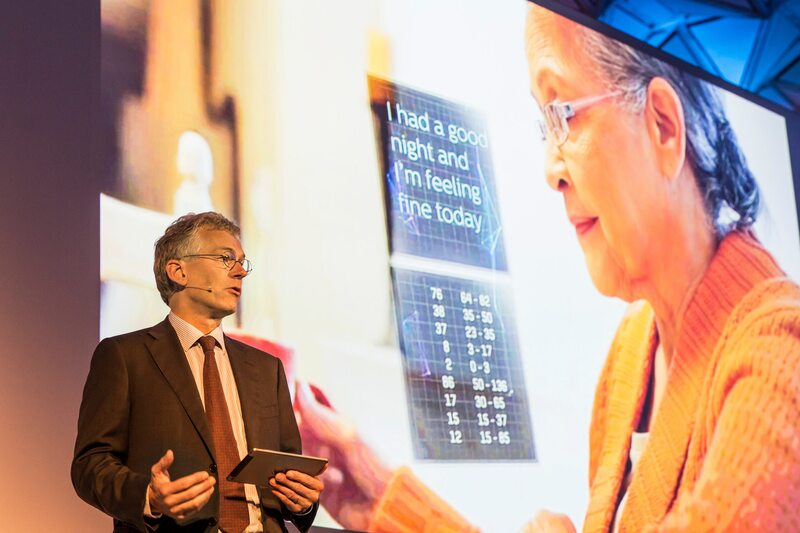 Last week, we made the historic announcement that Philips is going to transform into two strong and focused companies: one focused on the HealthTech opportunity, the other on Lighting solutions. This is the next logical step on our journey. It will position both companies for long-term market leadership, enabling them to innovate and address customer needs even better and faster. Allow me to elaborate. What we are seeing is the merging of the consumer and professional healthcare spaces. To lead a good life, consumers want to monitor and manage their health, be it the air they breathe, the food they eat or their personal hygiene. Governments are looking for ways to deliver better and more affordable healthcare beyond the hospital walls. To this end, they are encouraging healthy living, preventative health, and remote support of people with chronic diseases. They also want to empower healthcare professionals to co-operate more effectively and deliver better diagnoses and treatments. To enable this revolution, healthcare has to be delivered as an integrated service across the entire continuum of care. This runs from healthy living and prevention, to diagnosis and treatment, and recovery and homecare. The portfolios of our Healthcare and Consumer Lifestyle businesses already span this continuum. By merging the two and working from a unified vision and strategy in a single company, we create a stronger foundation for future growth and innovation. Today, you will get a taste of the great things that are still to come. The lighting industry, meanwhile, is experiencing the largest transformation since the invention of the light bulb. LEDs and connected lighting technologies are catalysing the shift from lighting products to lighting solutions and systems. While still valuable for the illumination it provides, light will increasingly create social and economic value by making buildings and cities safer, more beautiful and energy efficient. During today’s event, you will see how our innovative solutions and business models are already doing this. By turning Lighting solutions into a separate entity with direct access to financial markets, we will accelerate this even further. The transformation of Philips will ultimately allow us to remain true to the power of our brand and proud heritage of innovation. Innovation is the lifeblood of Philips. In fact this year, it is a hundred years since Philips set up a laboratory dedicated to research. Under the leadership of the young Dr. Gilles Holst, the lab’s initial focus on incandescent light bulbs quickly broadened to other areas, including HealthTech. Over the course of a century Philips researchers have generated more than 100,000 patents and delivered many meaningful innovations. These innovations are meaningful in that they give people a better life. And this is the reason Philips exists. Our mission is to improve the lives of 3 billion people by 2025. This is a bold and daring vision. But looking at the state of the world, it is a path worth taking. Because today, some 2 billion people are hungry. The lifespan of countless people is still at very low levels for lack of hygiene, water and healthcare. And global consumption is straining our natural resources and the environment. We can do better than this. And we must do better than this, particularly in light of several other societal challenges. The global population will grow to 9 billion by 2050, meaning more demand for food, water and energy. Urbanization means larger cities with often more than 20 million people in need of a safe, healthy and inspiring environment. And ageing societies and the rise of chronic diseases means healthcare costs are spiralling out of control. We also see that people, particularly in the growing middle class, are beginning to value their health and well-being more than their material wealth. And how technology is becoming more pervasive, integrated and intelligent. At home, it changes how we behave and the family rituals we practice. And it allows us to understand and take control of our own health, for example through real-time biometrics and coaching. Philips supports and catalyses these developments. We want to empower people to be healthy, live well and enjoy life. This means healthy eating, healthy living, and taking care of a healthy home environment. Our smart air purifier, for example, provides real-time data on air quality inside of the house. It constantly measures the quality and alerts you when it reaches unsafe levels. It does so via an app, which also enables you to control the purifier using your mobile phone. This innovation helps people suffering from allergies and respiratory problems, and families living in polluted cities. We also want to bring more control to people living with chronic disease. Earlier this month we launched two drug-free solutions for people suffering from persistent pain. Both are connected to an app to help them track, understand and more effectively manage their pain. We are also developing something for psoriasis, a painful and chronic skin disease. This new solution, BlueControl, offers a natural, drug-free treatment using blue LED light, which can be used at home and reduces the need for hospital visits. You will see these all today. Another connected device that can make a difference in people’s life is Hue, our app-enabled personalized LED lighting. Hue was designed as an open platform that allows other parties to innovate. One such party is Convo, which helps deaf and hard of hearing people call anyone through a smartphone. Convo has created an app that connects to Hue so deaf people can experience ringing, missed calls, and much more through the lighting. Also, during a phone call it provides users with the necessary light for the sign language to be visible. Older solutions that use regular light bulbs create annoying, bright flashes of light. But with Hue, there are gentle changes in colour and light intensity. Small innovations like this can make a world of difference. Of course, the need for healthy living extends beyond the individual. I said earlier we can see a growing and aging population with more chronic disease. The current model of healthcare, however, is unsustainable: it is delivered in silos, which leads to in-effective treatments and waste. To make healthcare more effective – economically and medically – we need integration and personalisation. Obviously this will also have huge benefits for patients, who will enjoy faster and better diagnosis, efficient personalised treatment and better aftercare. In short: healthcare that is more accessible, with better outcomes at lower costs. I am excited to see this is happening due to advances in big data, cloud computing and other technologies. And I am proud that Philips is at the forefront of this. Around the world, we are working with healthcare professionals to create a more integrated approach to healthcare. This means we are connecting and aligning their efforts across the continuum of care, from prevention and early identification, through to treatment, and self-management of chronic illness. To make this vision possible, we recently announced a collaboration with Salesforce.com to help us build our cloud-based Philips healthcare platform. This will integrate diagnostic data from multiple sources and devices with longitudinal medical records, which enables us to create highly efficient, workflows so healthcare professionals can work across silos. This will offer tremendous benefits. First, physicians can be more accurate and definitive in their diagnosis, which is far too often wrong the first time around. Second, physicians can make better treatment plans and collaborate more effectively. And finally, patients can take a more active role in their healing process, whether in the hospital or at home. We are about to launch the first two applications for the US market, but we’re opening the platform to external developers so an ecosystem of applications can emerge. Another example is how we are changing the treatment of prostate cancer, which affects one in six men. Currently, biopsies are physically shared on glass slides, which means diagnosis can only happen inside the hospital with a microscope. But an accurate diagnosis is hard, so patients tend to be over treated. Surgeons, for example, may opt for invasive surgery just to be on the safe side. We are changing this. We are developing a technology that enables physicians to digitally scan a biopsy and share the massive amounts of data with colleagues around the world. This means physicians in Tokyo, San Francisco and Berlin can diagnose a patient in Sydney. Based on this, patients can get the treatment plan that is most effective for them, for example actively monitoring the tumour and taking action only when necessary. We’re also pushing the boundaries of cancer treatment at the cellular and molecular level. Cancer rates are rising, but the number of skilled pathologists is not. Even then, it’s hard to make an accurate diagnosis, and the behaviour of tumours differ per person because of genetic differences. As a result, people can get treatments that do not work or have unnecessary side effects. That is why we at Philips, want to empower physicians to make a more definitive diagnosis, one that is right and specific to the patient. To this end we’re combining genomics with big data to analyse millions of data points on thousands of genes of an individual patient. That generates a stunning 100 GB of data per person, which we analyse to unravel the inner workings of that person’s cancer. The result: precision medicine in which treatments are tailored to each individual for more impact and fewer side effects. In our cities, we’re working on creating a safe, comfortable, and healthy environment that is far more sustainable. Currently, the world’s largest cities offer anything but that. They are polluted, energy inefficient and stressful. As such, they exemplify the limitations of our linear economy, which is designed to produce masses of low-cost products that are briefly used and easily discarded. In light of the world’s growing cities and dwindling resources, this way of living and producing is unsustainable. At Philips, we believe that cities can be better places. They can offer a healthy balance between productivity and quality of life. They can empower community living and help you work from home. They can be greener cities, too, and make more sustainable use of energy. To realise this vision, we need to change how we build and run our cities. One key opportunity is to create a safer and healthier environment through more light and energy efficient lighting. Another opportunity is to replace the habits of the linear economy with principles of the circular economy. This means designing and making products for multiple re-use, such as selling light as a service rather than a product, and returning the luminaire at end of life back to us. This radically different approach would make cities more sustainable, save costs and generate new opportunities for growth. Philips has been working with the government of Aruba to ensure the island meets its goal of using 100% sustainable energy by 2020. To this end, we mapped the entire island’s lighting service and designed LED solutions for public buildings and outdoor lighting. These are so efficient that Aruba expects to achieve energy savings of up to 80% and lower CO2 emissions by up to 4,000 tons annually. Good for the island and its people. As you can see, we live in a time of great changes and challenges. For an innovative company like ours, this also means new opportunities. Sometimes this requires the courage to take bold decisions to grab these opportunities. Success is the result of ambition, courage, and action. and action to get the real results. Gerard and Anton Philips embodied this spirit and we proudly follow in their footsteps. 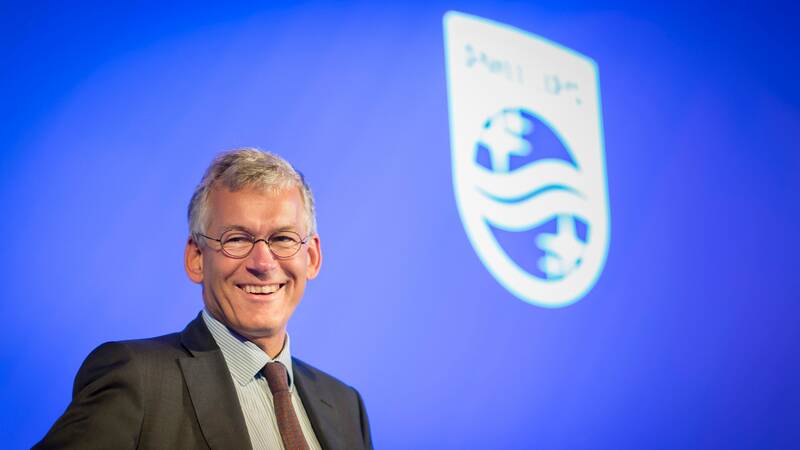 The changes we announced last week will mean in a new era at Philips. It will give us the focus and strength to imagine and build a better future for billions of people. Together with colleagues in more than 100 countries, we will help them to be healthy, live well and enjoy life. Today, we show you how we are going to deliver on this promise. Thank you.